Oh my. I went on vacation in June, all my sub boxes came in, I opened them and took photos when I got back and never posted them! This was my Orange Glad Sweet box in June. Orange Glad is a dessert subscription box. It comes in a mailer, and inside is this pretty box. Orange Glad kindly sent this box for me to review. Inside you will find five treats each month. 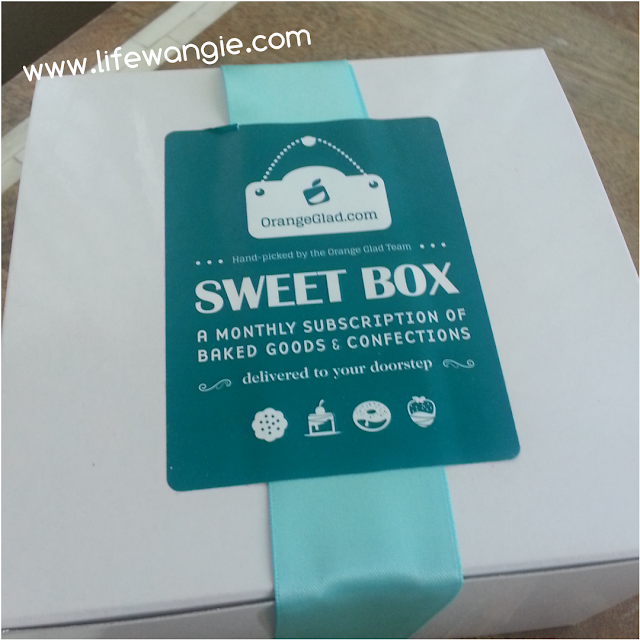 I have to admit, when I first heard about Orange Glad Sweet Box, I was a bit skeptical. Why would I get baked goods in the mail rather than just going somewhere and buying them fresh? But I have had no problems with freshness whatsoever. Everything is always great quality and super delicious. Luscious Lemon Bar - Fine Sconehenge Baking Co.
Out of these four, they were all good, but I liked the lemon bar the best. 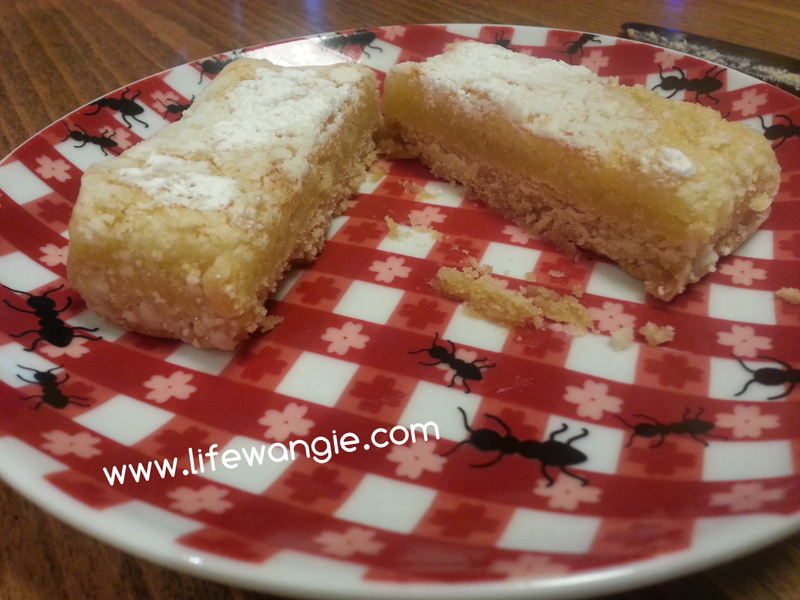 I am a sucker for lemon bars. 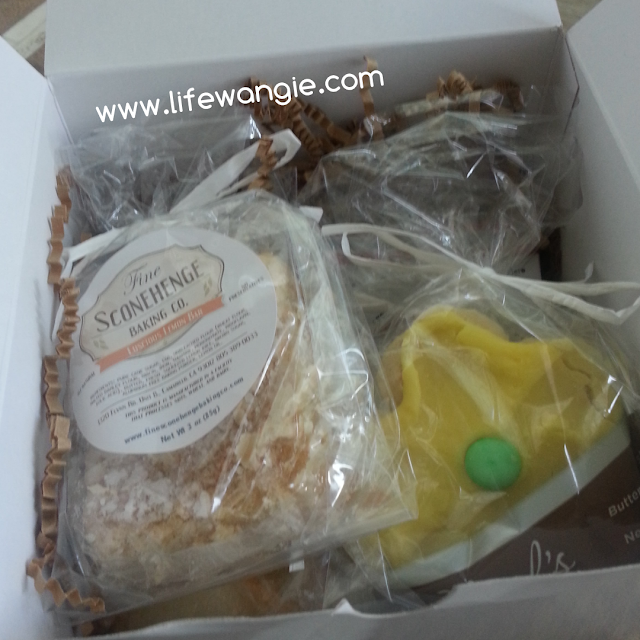 An item from Fine Sconehenge Baking Co. was included in the May Orange Glad Sweet Box as well, and you can purchase items of theirs directly on the Orange Glad site. To me, the most exciting part of a subscription is the discovery process. 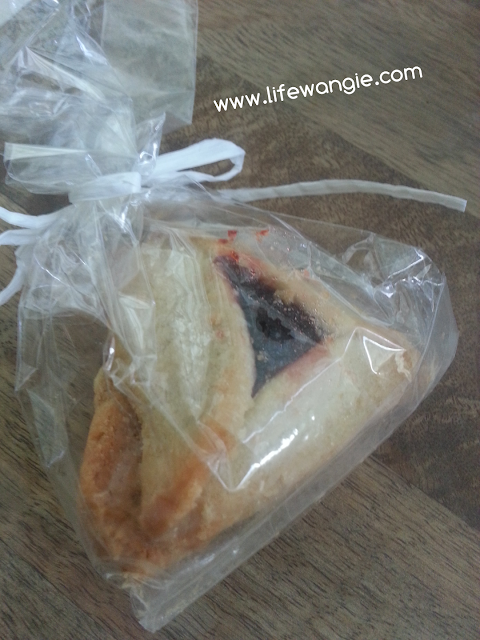 I discovered a new treat that I didn't know about in this box: Hamantashen (This one is from Lily’s Bakery Shop). Apparently, according to About.com, these cookies are "traditionally eaten during the Jewish holiday of Purim." I don't know anything about Jewish food or holidays, but these little guys are DELICIOUS! After getting the Orange Glad Sweet Box for a few months, I am just constantly surprised that they somehow manage to ship baked goods to me but the goods are still tender and delicious. 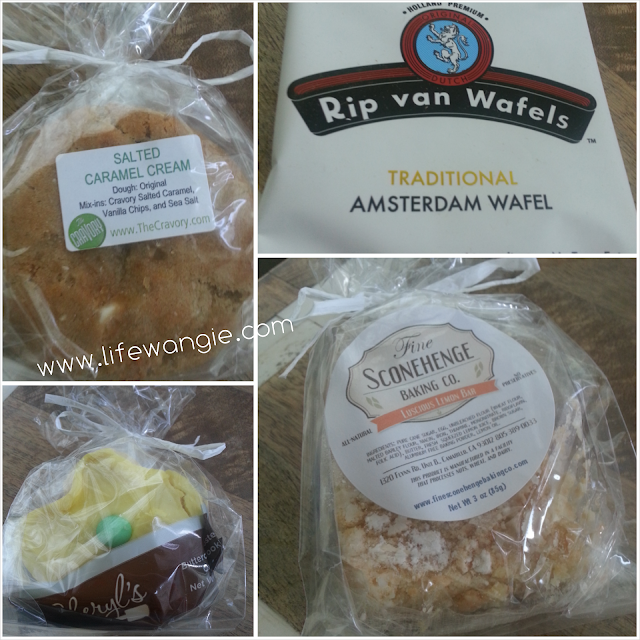 I can't always get cookies like this in my local bakeries, and I like to try foods from different cultures. These are kind of like a really tender shortbread with some kind of fruit filling inside. HAMENTASHEN! I'm Jewish, so I've been eating these things since birth. My mom always makes a batch around Purim, and the secret is to use citrus rind in the dough--at least that's what she says! My favorite flavors are chocolate and cherry, but poppy seed is actually the most common. I'm so happy you got to try some!